ARRL Headquarters to be Closed on Friday, March 25: ARRL Headquarters will be closed on Good Friday, March 25. There will be no W1AW bulletin or code practice transmissions and no ARRL Audio News on that day. ARRL Headquarters will reopen Monday, March 28, at 8 AM Eastern Daylight Time. We wish everyone a safe and enjoyable holiday! The ARRL Board of Directors' HF Band Planning Committee is inviting input from the US Amateur Radio community regarding possible changes to the International Amateur Radio Union (IARU) Region 2 Band Plan. That band plan and other significant Amateur Radio spectrum issues will be high on the agenda at this fall's IARU Region 2 General Assembly in Chile. Leading up to that gathering, the ARRL and other IARU member societies in the Americas will be seeking comments and suggestions regarding the Region 2 HF Band Plan. The HF Band Planning Committee will review the current plan, consider comments from the US Amateur Radio community, and recommend any changes to the ARRL Board for submission to IARU Region 2. "The ARRL HF Band Planning Committee wants to stress that the IARU Region 2 Band Plan is a voluntary guideline and does not supersede FCC regulations related to spectrum usage," Committee Chairman and ARRL Second Vice President Brian Mileshosky, N5ZGT, noted. He also pointed out two other issues for radio amateurs to consider. Most Region 2 countries outside the US do not have the sort of detailed subband regulations contained in the FCC's Part 97. For radio amateurs in these countries, the Region 2 Band Plan may serve as the only source of guidance on spectrum usage. The designation of a calling frequency or band segment for a particular purpose or mode in any IARU band plan does not convey any special rights or exclusivity of use. On the other hand, the absence of a calling frequency or band segment associated with a particular purpose or mode should not suggest that these have been overlooked or are viewed negatively. The Committee is urging US radio amateurs who are considering suggesting revisions to the IARU Region 2 Band Plan first to study the existing IARU Region 2 Band Plan. They then should formulate a clear statement of any proposed changes, including a brief explanation of why each particular change would benefit all IARU Region 2 spectrum users. Participants should include name and call sign. Submit input via e-mail by June 1, 2016. Messages will be automatically acknowledged. The 19th IARU Region 2 General Assembly will take place in mid-October in Viña del Mar, Chile. Held every 3 years, the Region 2 Conference is attended by delegations from IARU member societies in throughout the Americas. The Society of Broadcast Engineers (SBE) has told the FCC that the regulatory agency needs to take another tack in its efforts to tackle AM broadcast band revitalization. If the FCC takes the SBE's advice, the result could be less noise in the MF and HF Amateur Radio bands. In comments the SBE filed in response to an FCC Further Notice of Proposed Rulemaking and Notice of Inquiry (MB 13-249) proposing ways to enhance the viability of the AM broadcast service, the SBE said the Commission must "commit to a regulatory plan which, over time, will reduce the levels of man-made noise in the MF bands, and more broadly in the bands below 30 MHz." In comments it filed earlier in the proceeding, the SBE pointed out that "AM radio in particular is susceptible to interference from electronic devices of all types," and that ambient noise on the AM band is only bound to get worse with further proliferation of noise-generating electronic devices, including certain lighting devices regulated under FCC Part 15 and Part 18 rules. "[T]he only source of regulatory reform that has a meaningful chance to positively affect the noise floor over time are regulations that create obligations on manufacturers and importers and dealers, prior to the point that the consumer or user of the device or system comes into possession of it, and before it is deployed," the SBE said. The SBE said that while the FCC has strongly supported unlicensed low-power RF devices over the years, it "apparently does not have a clear understanding of the aggregate effects" of these devices on the MF noise environment. In addition, the power grid has expanded, imposing its own family of electrical noises on the radio spectrum. "Much unintentional interference is local in nature, but the cumulative impact can be extensive," the SBE told the FCC. "The Commission does not now have, and has never had, a complete understanding of ambient RF noise levels and trends over time." The SBE urged the FCC to better enforce some existing regulations and develop new ones to address ambient noise in the existing AM band. "It is obvious that any interference management plan...has to be based on rules which limit RF noise before it becomes an issue, not post hoc, and those rules have to be enforced," the SBE said. Read more. For the second year, Amateur Radio Emergency Service (ARES) volunteers in Puerto Rico took part in the annual Caribe Wave exercise (formerly known as the Large Atlantic Tsunami Exercise -- LANTEX), a tsunami communication drill undertaken on different dates on the US East Coast, in Canada, on the Gulf of Mexico, and in the Caribbean Basin. The object of Caribe Wave is to test the reliability of communication systems and protocols among tsunami alert centers and to help emergency management agencies to improve their preparedness to execute a tsunami alert. In Puerto Rico and the US Virgin Islands, Caribe Wave takes place in conjunction with the Puerto Rico Seismic Network (Red Sísmica de Puerto Rico), FEMA, NOAA, and the Puerto Rico Emergency Management Agency (PREMA/AEMEAD). The scenario for the March 17 drill was a tsunami generated by a magnitude 8.4 seismic event, 15 kilometers deep, off the coast of Venezuela. 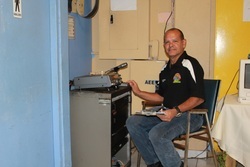 Amateur Radio has played an important part on this exercise at an island-wide level in the past, and ARES Puerto Rico, with Section Emergency Coordinator Carlos A. Rosado, KP4CAR, at the helm, is now the major player in these drills. Net control for Caribe Wave 2016 was Santos Javier Rodriguez, KP4RS, operating from the Oficina Municipal de Manejo de Emergencias (Municipal Emergency Management Office) in Moca, Puerto Rico. At 10:05 AM on March 17, the Emergency Alert System (EAS) activated on broadcast and cable outlets around Puerto Rico, announcing the "emergency" and emphasizing that it was a drill. Many government, public, school, and senior institutions conducted evacuation drills to test their preparedness to reach their nearest local refugee site. PREMA practiced evacuation procedures in the city of Cataño, which could end up partially underwater in the event of a tsunami. Amateur Radio's role during Caribe Wave 2016 was to gather reports from other radio amateurs in the island regarding how they learned of the tsunami alert. The reports gathered are delivered to PREMA Headquarters for a later evaluation meeting that includes all agencies and organizations involved. ARRL has introduced three new e-books to its growing digital library. The newest titles available in the popular Amazon Kindle format include Work the World with JT65 and JT9 by ARRL author Steve Ford, WB8IMY, ARRL's Small Antennas for Small Spaces, second edition, and Antenna Physics: An Introduction, by Robert J. Zavrel, Jr, W7SX. 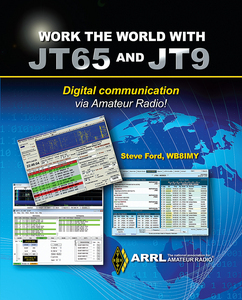 Work the World with JT65 and JT9 shows you how to assemble an effective digital communication station and configure the software for best performance. Some operators use these popular digital modes with as little as 5 W RF output and an indoor antenna. The book is filled with tricks and tips to help you get on the air and making contacts. 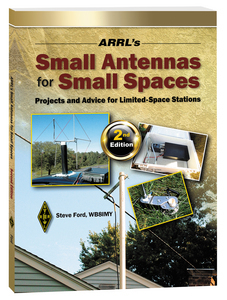 The fully updat ed second edition of ARRL's Small Antennas for Small Spaces is a must-have for radio amateurs who live in apartments, condominiums, or houses on small lots. The book is filled with practical advice, and will guide you to finding the right antenna design to fit whatever space you have available. Antenna Physics: An Introduct ion has been written to bridge the gap between basic theory and graduate-level engineering texts. 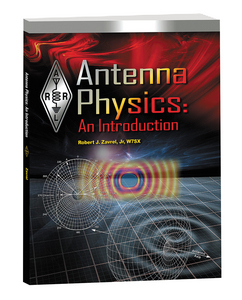 Delve deeper into antenna theory, and explore the underlying principles and mathematics of antennas and antenna physics. All of these publications are also available in print format, directly from ARRL and ARRL publication dealers. ARRL reminds Amazon shoppers to consider visiting smile.amazon.com when ordering. Amazon will donate 0.5 percent of the price of your eligible AmazonSmile purchases to ARRL whenever you shop on AmazonSmile. National Parks Week is April 16-24, a happy alignment for National Parks on the Air operators, as World Amateur Radio Day is April 18. This would be a prime day to get out and operate from an NPOTA unit, promoting both the National Parks and Amateur Radio simultaneously. If you plan to be on the air from an NPS site for World Amateur Radio Day, e-mail the details to npota@arrl.org. There are 28 NPOTA activations scheduled for March 24-30, including Big Bend National Park (NP04) in Texas, and the Tuskegee Airmen National Historic Site (NS71) in Alabama. Nobel Laureate Joe Taylor, K1JT, of Princeton, New Jersey, has been named as the 2016 Dayton Hamvention® Amateur of the Year. Hamvention announced the recipients of the Amateur of the Year, Technical Achievement, Special Achievement, and Club of the Year awards on March 18. Taylor was awarded the Nobel Prize in Physics in 1993 for the discovery of the first orbiting pulsar, leading to observations that established the existence of gravitational waves. Licensed in 1954 as KN2ITP, Taylor served as a professor of astronomy at the University of Massachusetts from 1969 to 1981, and later as a professor of physics at Princeton University. Since his retirement, Taylor has been developing and enhancing digital protocols for weak-signal communication by Amateur Radio, including JT65 and WSPR. John S. Burningham, W2XAB, of Morrow, Georgia, is the recipient of the Hamvention Technical Achievement Award. A radio amateur since 1970, Burningham has been involved with amateur repeaters for more than 40 years. Following positions in the aerospace industry and for Motorola, he has been in higher education for more than 20 years, and now serves as a senior lecturer in the Department of Computer Science and Information Technology at Clayton State University. A Life Member of ARRL and QCWA and a member of AMSAT and TAPR, he currently is active in the digital mobile radio community and is the author of the Amateur Radio Guide to Digital Mobile Radio. He also wrote "Introduction to Digital Mobile Radio," which appeared in the October 2015 issue of QST, and is a contributing author in the 2016 ARRL Handbook. The 2016 Hamvention Special Achievement Award will go to Stan Horzepa, WA1LOU, of Wolcott, Connecticut, for advocating cutting-edge technologies now commonly used in Amateur Radio. Horzepa has authored five books and written more than 1200 pieces for ARRL and TAPR, evangelizing the use of home computers, packet radio, APRS, digital signal processing and software defined radio in Amateur Radio. Licensed in 1969, Horzepa has sampled almost every entrée on the ham radio menu and has served in a slew of roles, including ARRL Connecticut Section Manager. Presently, Horzepa is a director and secretary for TAPR and serves as editor of TAPR's newsletter, PSR. Rocky Mountain Ham Radio has been named as Hamvention Club of the Year. The organization, based in the Denver, Colorado suburbs, offers its services to other ham radio clubs and ARES groups to help them be successful. Technical assistance, classroom training on a myriad of subjects, mentoring, equipment/system design, and public service are among the services it provides. The group owns and maintains fixed analog and digital/DMR repeater assets, including one of the premier private DMR networks in the nation, which is linked with an amateur microwave network that spans the Front Range of the Rocky Mountains from Cheyenne, Wyoming, to Cañon City, Colorado. The group also owns and operates a deployable communications command post in a 26-foot trailer. Read more. Ham radio-related courses taught at the University of California Berkeley Campus and a follow-on "Annual VE Mega-Session" may be one reason that California continues to lead the nation in the number of Amateur Radio licensees. A March 16 exam session yielded 50 new Technician licensees, as well as three new General class, and five new Amateur Extra class licensees. For the third year in a row, scores of mostly electrical engineering and computer science students capped their participation in one of two ham radio-related classes taught by UC Berkeley EE/CS Professor Michael "Miki" Lustig, KK6MRI. His lower-division "Hands-On Ham" course is for sophomores, while and his upper-division "Digital Signal Processing" course is aimed at juniors and seniors. "These popular courses are filled quickly on registration day," Lustig said. "Class members also include some majoring in mechanical, biological, and nuclear engineering." The entry-level course exposes newcomers to ham radio and introduces them to "hacking" and "making," Lustig explained, while the advanced class "delves into the theoretical applications of digital signal processing, filter design, modulation/demodulation, decoding subcarriers, APRS audio interface techniques, and antenna design." Both classes feature hands-on, practical projects that require them to transmit on radio frequencies, so students are motivated, as part of their courses, to become licensed Amateur Radio operators. The lower-division students are given inexpensive handheld transceivers to keep, and are coached in radio protocols. The upper division students are issued higher-end handhelds that they may keep if they pass the General or Amateur Extra class examination. "They make satellite contacts, participate in on-campus Field Day-like activities, practice with small software designed radio dongles, and, if already licensed, stay in touch with each other throughout the semester on a 2 meter simplex frequency," Lustig told ARRL. Lustig is quick to point out that the two courses would not be possible without the active support of the UC Berkeley W6BB club members, including Trustee Fritz Sommer, K6EE/DL4TT; President Jack Burris K6JEB, and others, as well as support from the EECS Department staff. 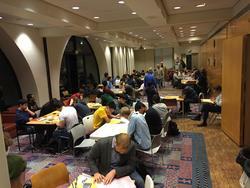 In the latest VE session, 63 candidates took a total of 78 exam elements in a little more than 2 hours. Only one candidate left without a license. Read more. AMSAT reports that its Fox-1C (Fox-1Cliff -- named in honor of the late AMSAT pioneer and benefactor Cliff Buttschardt, K7RR) and Fox-1D satellites are ready for delivery to Spaceflight Industries for integration into the SHERPA payload dispenser, which will be making its maiden flight. Fox-1Cliff and Fox-1D successfully finished environmental testing on February 8. Launch is set for later this year on a SpaceX Falcon 9. Until delivery, the CubeSats will be sealed in anti-static bags, opened occasionally to charge the batteries so they will be fully topped off for delivery. Launched into Sun synchronous orbits, Fox-1Cliff and Fox-1D will carry the same FM repeater as Fox-1A (AO-85), in addition to a Virginia Tech camera experiment that will take images of Earth for high-speed downlink. Fox-1Cliff will also contain a radiation experiment from Vanderbilt University ISDE, like the one in AO-85, and Fox-1D will host the University of Iowa High-Energy Radiation CubeSat Instrument experiment to map the Van Allen radiation belts. 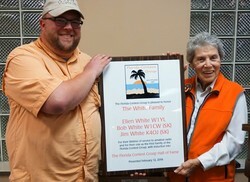 W5KUB's "Amateur Radio Roundtable" webcast scored a live, audio-only interview on March 22 with the leader of the Heard Island VK0EK DXpedition, Bob Schmieder, KK6EK -- believed to be a first in ham radio news media history. The VK0EK DXpedition team got under way on March 23. When "Amateur Radio Roundtable" host Tim Medlin, W5KUB, spoke with Schmieder, he and the other 13 DXpedition operators had just arrived on Heard Island on the R/V Braveheart and were preparing to start moving equipment and personnel ashore. Schmieder talked with Medlin for about 15 minutes over an Iridium phone, explaining that he could not do a video interview this time, because he was still on board the Braveheart, and the necessary Inmarsat phone's antenna must be pointed at the satellite. "Amateur Radio Roundtable" host Tom Medlin, W5KUB (left, inset), interviewed VK0EK DXpedition leader Bob Schmieder, KK6EK, on March 22 via a satellite telephone connection. "Amateur Radio Roundtable" is hoping for a video interview on Tuesday, March 29, with the VK0EK DXpedition. "I want to see a volcano in the background and penguins all around him," Medlin quipped, looking ahead to the planned video interview. More information is on the DXpedition's website, and the VK0EK log appears on the DXA3.org website. The interview, available on the "Amateur Radio Roundtable" YouTube archive, was also broadcast on international shortwave station WBCQ on 5130 kHz. Z60A in Kosovo, the headquarters station of SHRAK, the newest International Amateur Radio Union (IARU) member society, will be on the air leading up to and during the CQ World Wide WPX SSB Contest the weekend of March 26-27. SHRAK President Vjollca Caka, Z61VB, has announced that other Kosovo prefixes, such as Z61DX, Z62FB, Z63ESC, Z64EEF, and Z68BH, will be active in addition to Z60A. The on-the-air activity will serve as part of a training process for new Kosovar hams as they prepare for the forthcoming IARU Youngsters On The Air (YOTA) gathering in Austria with other young people from throughout Europe. SHRAK has a new Yaesu/Acom station sporting Force 12 beams high up in the hills at the Technical University of Pristina, where Z60A is located. SHRAK has expressed its gratitude to the ARRL Fund for International Relations and Goodwill, the International DX Association (INDEXA), Force 12, the OH-DX-Foundation (OHDXF) and to Chiltern DX Club (CDXC) -- the UK DX Foundation, for their valuable support. Well-Known Contester Gary R. Senesac, AL9A, SK: Contesting luminary Gary Senesac, AL9A (ex-KC9UM), of Wasilla, Alaska, died suddenly on March 15 while vacationing in Florida. 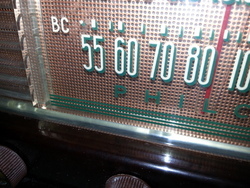 An ARRL Life Member, he was 72. Senesac, an Illinois native, moved to Alaska in 2003 after he retired, and his was a familiar call sign in many operating events. During the ARRL Centennial in 2014, he took part in the W1AW/KL7 operation. "Gary was an avid contester," said fellow Alaskan Corliss Kimmel, AL1G, "and he was an excellent contester. He was also very technically knowledgeable and helpful to anyone who needed advice." Senesac enjoyed operating all modes but may be best known as a CW and RTTY contester. Senesac was a member of the Matanuska Amateur Radio Association, the Fox River Radio League, the Society of Midwest Contesters, and the ARRL A1 Operators Club. In addition to his participation in the W1AW ARRL Centennial year operation, AL9A also recently took part in the KL7RST special event, and he served as a mentor to many operators. "He will be dearly missed by us all," Kimmel said. "I will miss his posts, seeing his amazing scores, and laughing at his jokes." Centenarian, Alaska Women's Hall of Fame Member Arlene "Buddy" Clay, KL7OT, SK: Arlene "Buddy" Clay, KL7OT, of Wasilla, Alaska, died on February 11. She was 103. An ARRL member, Clay was inducted into the Alaska Women's Hall of Fame in 2015 for her work in rural justice administration among the Yup'ik people. 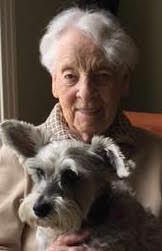 She became a ham in 1948 and began calling the Thursday night Snipers Net for the Matanuska Amateur Radio Association, a duty she continued from her retirement community home until she died of a stroke. In 1960, after having worked for years with her husband Earl, KL7EM (SK), as an air traffic controller, she began a new career as a magistrate for the Alaska Court System, becoming responsible for 12 villages along the Kuskokwim, Yukon, and Iditarod rivers. She traveled from village to village by boat in the summer and by dog sled in the winter. In all, "Buddy" Clay spent nearly 70 years living in Alaska's wilderness. She was profiled in the August 2013 issue of QST in the article "A Radio Voice in the Wilderness," by Brenda Plessinger, AL7LX. The FCG's recently elected President Chris Plumblee, WF3C, with Ellen White, W1YL. Tad Cook, K7RA, Seattle, reports: All of the indicators we track were lower over the past week (March 17-23), compared to the previous 7 days. Average daily sunspot numbers declined from 51.7 to 28.4, and average daily solar flux dipped from 98.6 to 88.8 over the reporting period. The planetary A index was lower by 3.8 points at 11.9, and the average mid-latitude A index (measured in Wallops Island, Virginia) dropped from 12 to 8.6. Lower geomagnetic indices are generally considered a good thing for HF propagation. The record indicates no new sunspot regions since March 17. Even though our sun is quiet, there is a seasonal variation that produces aurora around the vernal and autumnal equinox. Spaceweather.com explained this recently. Sunspot numbers for March 17 through 23 were 66, 29, 26, 26, 25, 13, and 14, with a mean of 28.4. The 10.7 centimeter flux was 91.6, 90.3, 89.4, 87.6, 88.9, 87.3, and 86.8, with a mean of 88.8. Estimated planetary A indices were 21, 8, 18, 10, 8, 8, and 10, with a mean of 11.9. Estimated mid-latitude A indices were 16, 6, 12, 6, 7, 6, and 7, with a mean of 8.6.